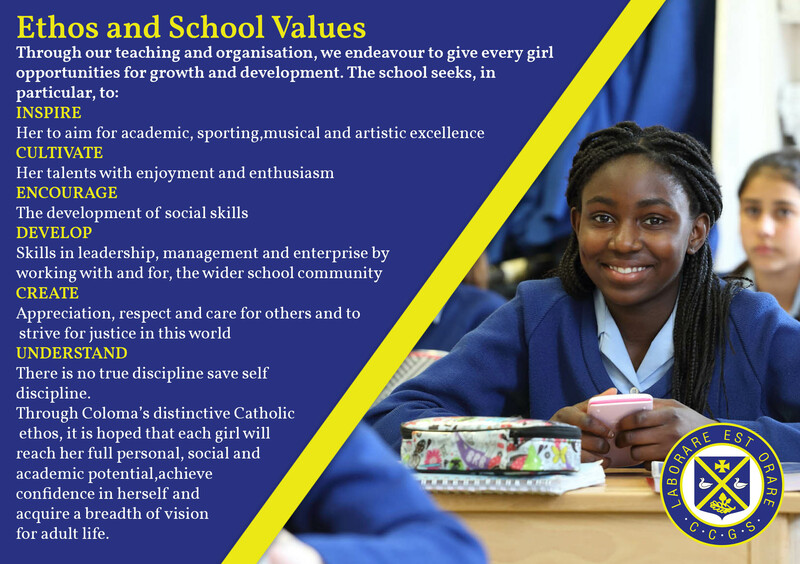 Coloma Convent Girls’ School in Shirley is proudly recognised as a World Class School and is one of the top non-selective secondary schools in the country. We are consistently oversubscribed and have received four ‘Outstanding’ Ofsted and four ‘Outstanding’ Diocesan reports and ‘World Class Schools’ status (September 2017). Candidates should be able to teach across the age and ability range to A Level and provide evidence of successful teaching strategies and excellent organisational skills. Applications will be considered from both experienced and newly qualified teachers. Coloma is very proud of its history of academic achievement; this is due to hard work, focus and dedication to Coloma’s ethos shown by pupils and staff alike. In 2018 we achieved remarkable exam results with a Progress 8 score of 0.89 at GCSE and an ALPS score of 2, which indicates that Coloma is within the top 5% of providers at ‘A’ Level across the country for progress. Coloma reserves the right to commence or complete the recruitment process at any time prior to the closing date.